South Korean mobile maker Samsung is once again knocking with Android-powered smartphone market of India. 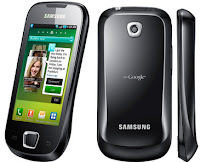 Earlier Samsung has launched 4 Android powered smartphones including one CDMA smartphone of Galaxy series. 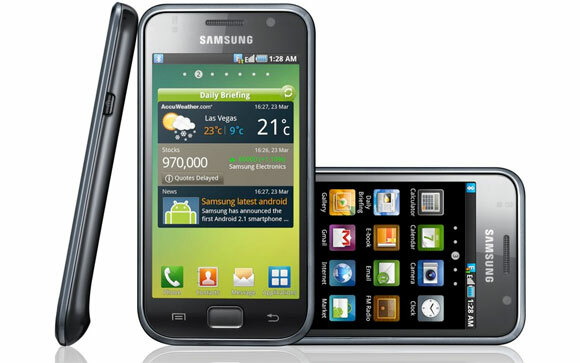 Samsung has introduced two Galaxy smartphones –Galaxy 3 (i5800) and Galaxy 5(i5500) in Indian market at a time. These smartphones are powered by Android operating System. Android is getting momentum in India, $35 tablet with Made-in-India tag is also operated by Android OS. Recently we reported that Acer brings Android powered smartphone, now Samsung Android smartphone is also under 10k mark, Samsung Galaxy 5 is estimated to be priced around Rs. 9000. The other smartphone Samsung i5800 Galaxy 3 is priced Rs. 12000. Both are loaded with Android OS, v2.1 (Eclair), compared to Android OS 1.5 powered Acer e110. 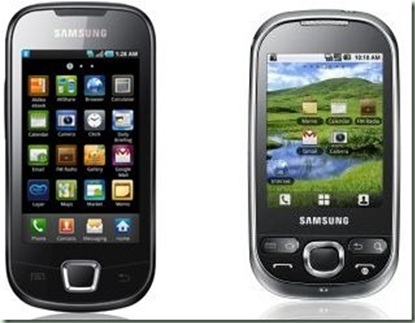 Galaxy 3 is also promised to upgrade to Android 2.2 in coming future. Galaxy 3 is also promised to upgrade to Android 2.2 in coming future. Both have TouchWiz v3.0 touchscreen UI and 3G connectivity.